Today’s special photograph has been kindly submitted by Rowan Jackson of UK Heritage Hub. 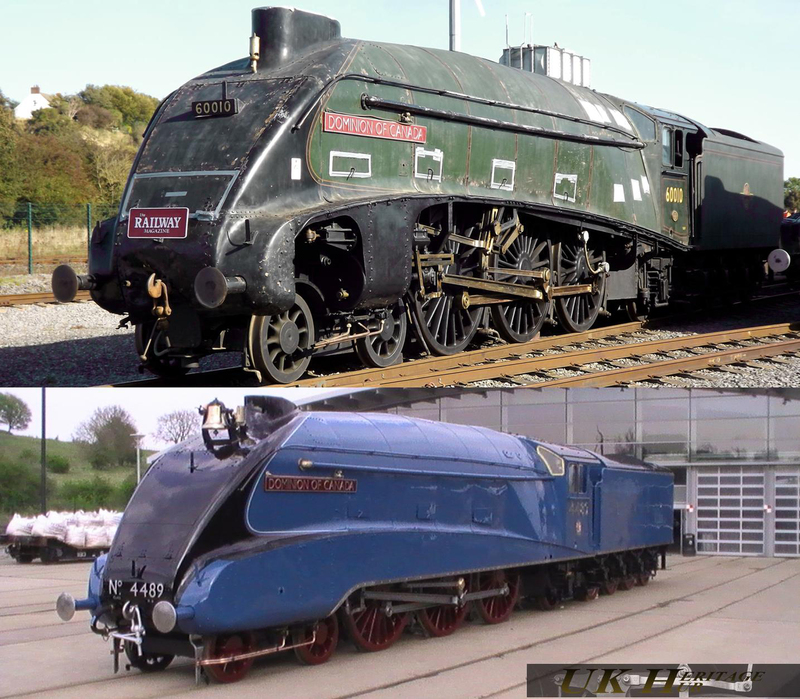 LNER A4 pacific 4489 Dominion of Canada has been subject to an incredible cosmetic restoration and the picture above shows the before and after shots. I’m sure you will all agree that the National Railway Museum have done an excellent job and the locomotive looks simply beautiful! UK Heritage Hub will be publishing a fantastic article in issue 22 from a member of the team that completed this restoration that I urge you all to read. The article will feature many more photographs of 4489. Issue 22 of UK Heritage Hub e-magazine will be available on 31st May; free to download from http://www.72010-hengist.org/ukhh/index.php/component/ars/. Facebook users should check-out and join the UK Heritage Hub’s Facebook group and twitter users can follow UKHH on twitter. 2013 in Review – UK Heritage Hub Contributions!